Paperback, 5.75 x 8.25 in. / 240 pgs / 100 color. Recognizing that our civic responsibilities towards our environments have drastically increased, Visionary Cities ambitiously sets the agenda for the city of the future. 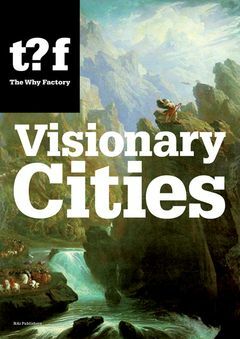 Amid crippling bureaucracies and economic crises, present-day thinking on city design remains woefully inadequate, and this first publication in NAi's Future Cities Series announces 12 civic issues that are in need of transformation through the researches of The Why Factory, a global urban-studies thinktank operated in part by the Delft University of Technology. These issues include: “The Solitary (Our Dreams are Undermining the City)”; “The Iconic (Our Idols Have Been Compromised)”; “The Fun (We Are Having Too Much Fun)”; “The Cautious (Being Careful Is Killing Us)”; “The Poor (Slums Are Growing Bigger Than The Cities They Are Part Of”; and “The Future (Our Future Is Being Imagined Without Us).” A howl against civic impotence and the apathy of citizens in the face of incompetence and decay, Visionary Cities makes a manifesto of these and other topics to loudly demand large-scale change on a collective rather than individual level. 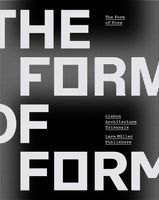 In an afterword, Winy Maas, of the innovative Dutch architecture firm MVRDV, argues that architecture possesses a visionary dimension waiting to be applied to the cities of the future. FORMAT: Pbk, 5.75 x 8.25 in. / 240 pgs / 100 color.